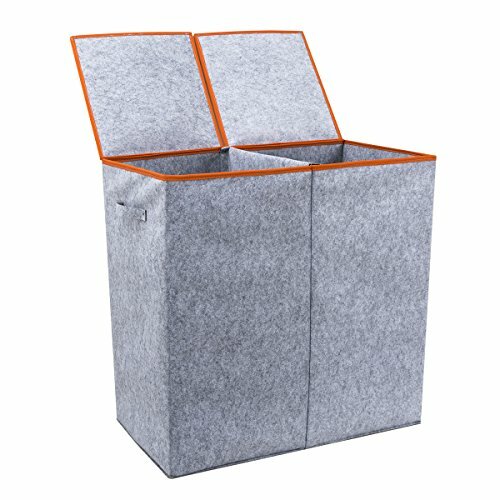 The double hamper allows your to separate clothes by color saving you time on laundry day. The dual handles are really strong for easy carry. Fold up easily and portable using. Perfect for indoor, student, baby and travel. Product guarantee：One-year replacement for defective product and 30 days no-hassle exchange and return. If you have any questions, please contact us. You will receive a reply within 24 hours.